1. Blueberries are an excellent source of antioxidants -Blueberries have been ranked as one of the best sources of antioxidants, particularly the flavonoid, anthocyanins. These unique plant pigments have been linked to a wide array of health benefits that range from maintaining cholesterol levels to supporting healthy heart function. 2. Blueberries are abundant in many other nutrients – Apart from being exceptional sources of antioxidants, blueberries can be counted on to help you meet your daily vitamin and mineral requirements. Eating just one cup or 148 g of blueberries will contribute towards 36 percent of your daily recommended intake of vitamin K, 25 percent of your needed value of manganese, and 24 percent of your required amount of vitamin C. You need vitamin K to transport calcium throughout your body. Manganese plays a role in maintaining proper thyroid function, as well as improving your digestion and metabolism. Vitamin C, meanwhile, is necessary for an improved immune system. Furthermore, blueberries are low in cholesterol, sodium, and saturated fats, ensuring your body won’t be overloaded with these substances when you eat blueberries. 3. Blueberries are good for your heart – As was mentioned previously, blueberries can support heart health. A 2013 study published in Circulation: Journal of the American Heart Association reported that consuming three or more servings of blueberries and strawberries a week is essential in maintaining healthy heart function. In fact, the American Heart Association has expressed its support for berries as an important part of a balanced diet. 4. Blueberries can support your brain – Thanks to their wealth of flavonoids, blueberries are a decent brain food too. In one recent study, 30 mL of concentrated blueberry juice daily was discovered to improve the cognitive ability in older adults. The same impact was recorded in a separate study on 16,000 women aged 70 and above. 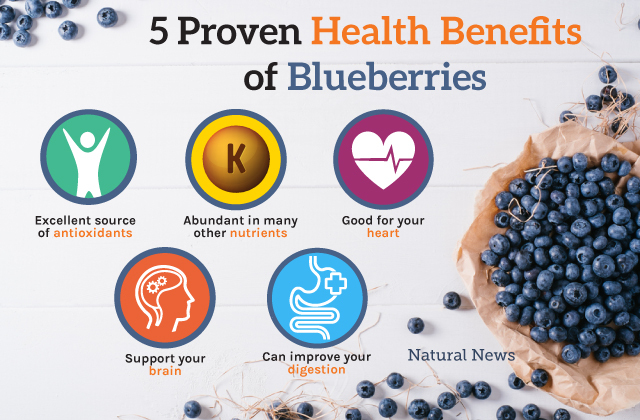 The researchers behind that study noted that women who ate two or more half-cup servings of blueberries a week maintained healthy brain function. 5. Blueberries can improve your digestion – Did you know that our intestinal tracts are filled with friendly bacteria? These gut microbiota play a key role in nutrition absorption and vitamin synthesis, and are heavily affected by what we eat. Blueberries are one such food that, according to a study in Molecules, can support gastrointestinal health. 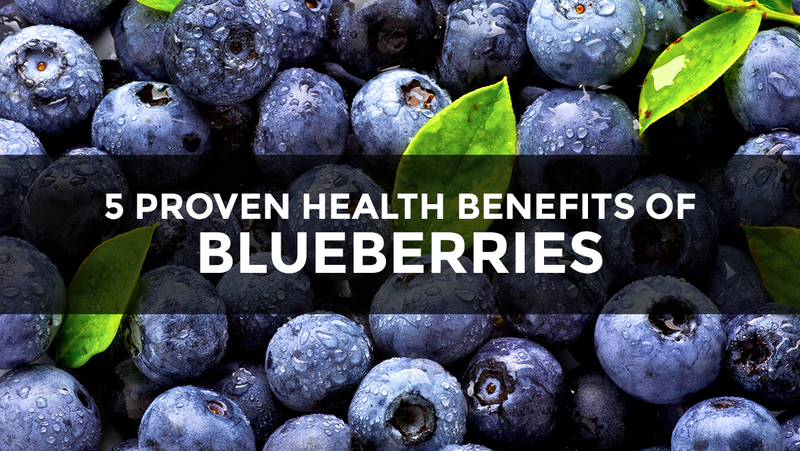 Moreover, blueberries contain an adequate amount of fiber, with a one-cup serving providing well over 14 percent of your daily recommended value. Fiber normalizes bowel movement by softening and bulking up our stool. Simply blend all the ingredients together until you reach the desired consistency. This should only take a few minutes. A maximum of 180 seconds is all you need every day to reap the health benefits of this miracle berry. And although fresh blueberries are good, frozen blueberries are even better. Freezing preserves the fruits’ nutrients better and makes their anthocyanins more absorbable. That’s why the Health Ranger Store carries Freeze-Dried Organic Blueberries (2oz) and Freeze-Dried Organic Blueberries (14oz, #10 can). These USA-grown, non-GMO blueberries have been carefully freeze dried to retain their nutrients, flavor, and texture. If you’re looking blueberries that are the cream of the crop, then these are the ones you should stock up on. Previous :Is your insect repellent made from toxic ingredients?